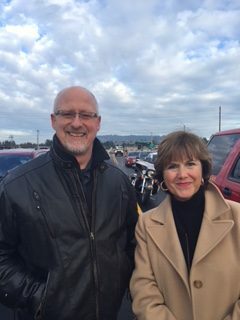 With State Rep Ron Noble at the bypass opening. Mary is tireless and straight forward in the performance of all jobs and tasks. Plus, she is a self-starter at all times with outstanding business acumen. Qualities too seldom seen in today's political arena. 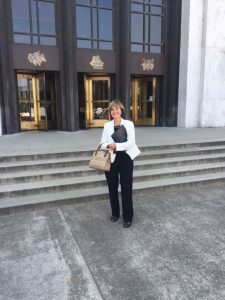 Mary has been a strong advocate for us as foster parents and for our foster children. I am grateful Mary has been fighting for us in Salem and locally!